Single turn wave springs are ideal for bearing preload. The single turn wave spring preloads the bearing through its outer race, taking up play in the bearing. Preloading will reduce bearing damage, wear, noise and vibration. The wave spring prevents sliding between the rolling elements. Smalley has stock parts from 1/4" to 16". Customs are available from .200" to 120". The interaction between solar wind and the Earth's magnetic field not only creates the impressive natural spectacle of the Northern Lights, it has also paralyzed whole electricity and telephone networks in northern countries. In order to research the influence of the Earth's magnetosphere, NASA is sending four measurement probes into space. Each of the satellites contains four FAULHABER stepper motor gear units from MICROMO. They are responsible for winding and unwinding 60-m-long measurement cables in space. Honda Research and Development's styling design department has become an early adopter of NVIDIA's Iray VCA rendering appliance to refine styling designs on future cars. The unassuming but super-powerful $50,000 graphics processing unit (GPU) helps Honda engineers replace physical prototypes with interactive, photorealistic digital models that can be sliced and diced to fantastic effect. 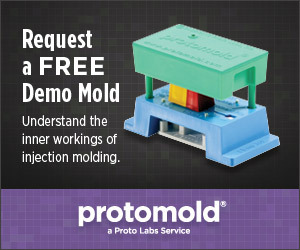 Click above to get your Protomold Demo Mold. This is a cool learning tool to have. The Giant Magellan Telescope project has successfully passed two major reviews, completing its detailed design phase and positioning the project to enter the construction phase in Chile. Taking advantage of the world's most advanced mirrors -- designed and built at the University of Arizona -- the 25-m telescope will have more than six times the light-gathering area of the largest telescopes today and 10 times the resolution of the Hubble Space Telescope. Georgia Tech University researchers have engineered a thermal interface polymer that can operate reliably at temperatures up to 200 deg C and could be used to draw heat away from electronic devices in servers, automobiles, high-brightness LEDs, and certain mobile devices. Bayer MaterialScience, along with its partner Gerhardi Kunststofftechnik, has been showing off the tremendous potential in using Makrolon and Bayblend products as decorative strips in automotive interiors. The innovative mold concept produces a diverse range of surfaces and design variants that aim to meet the desires of auto owners to have more personalized appointments. The new 3Dconnexion SpaceMouse Wireless provides precise 3D navigation in a sleek, wireless design. This tool combines 3Dconnexion's 6-degrees-of-freedom (6DoF) sensor with 2.4-GHz wireless technology to deliver the reliability of a wired device without the clutter of cords. Gently manipulate the SpaceMouse Wireless' controller cap to simultaneously pan, zoom, and rotate digital models or viewports. You should get about a month's use out of the unit's lithium-ion battery before recharging. When Bill Spracher, the lead designer and engineer at AMP'D Gear, and Jeff Tiedeken, a master fabricator and hydraulics designer at Monkey Likes Shiny, collaborated to quickly and inexpensively design a next-generation, all-terrain prosthetic leg, the pair turned to Autodesk Fusion 360 software to help tackle the project. 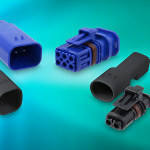 Amphenol Industrial Products Group now offers a connector family with 1.5-mm socket contacts featuring Amphenol's RADSOK technology. Tru-Loc's rugged, compact, thermoplastic construction makes it ideal for use in harsh environments where high vibration and caustic fluids are present. Offered in a 2-way, 4-way, or 6-way plug and receptacle in-line system, Tru-Loc is rated to 13 Amps continuous (with 16-gauge cable). It is designed to perform in demanding environments such as under valve covers on diesel engines to mate to fuel injectors. Operating temp range is -40 deg C to 125 deg C, with higher temps rated to 150 deg C available upon request. Beswick Engineering has released its 2014 catalog (#112) containing over 150 new product items. This expansive line of miniature fittings (compression, barb, and push to connect), valves, quick disconnects, pressure regulators, and orifices are ideal for fluid power assemblies requiring durable products machined in 303 and 316 stainless steel or brass. 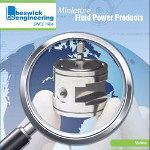 Pioneers in utilizing a captured O-ring face seal in miniature fluid power products, Beswick products are an excellent choice when space is limited and leakage cannot be tolerated. Other materials, such as aluminum and titanium, are available. 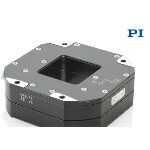 PI's P-763 XY nanopositioning stage is a new, lower-cost addition to PI's wide range of piezo stage positioners. The compact P-763 flexure-guided stage has a footprint of less than 3 x 3 in. (70 x 70 mm), while providing a 30- x 30-mm aperture. With a large travel range of 200 x 200 microns, this piezo positioning system is ideal for demanding applications such as image-stabilization, micro-lithography, nano-alignment, surface metrology, super-resolution microscopy, and bio-nanotechnology and photonics and datacomm. Since the Concorde's final landing at London's Heathrow Airport nearly a decade ago, commercial supersonic air travel has been as elusive as a piece of lost luggage. However, this hasn't stopped NASA from continuing the quest to develop solutions that will help get supersonic passenger travel off the ground once more. The Micro Phone Lens, developed by University of Washington mechanical engineering alumnus Thomas Larson ('13), can turn any smartphone or tablet computer into a hand-held microscope. The soft, pliable lens sticks to a device's camera without any adhesive or glue and makes it possible to see things magnified dozens of times on the screen. 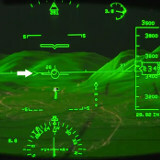 Navy engineers in Arlington, VA, are making final adjustments to a laser weapon prototype that will be the first of its kind to deploy aboard a ship late this summer. The prototype, an improved version of the Laser Weapon System (LaWS), will be installed on USS Ponce for at-sea testing in the Persian Gulf. The Foldscope is a fully functional microscope created by Stanford researchers that can be laser- or die-cut from paper for around half a dollar. This bookmark-size tool (originally developed for diagnosing malaria) can be assembled origami-style in minutes, includes no mechanical moving parts, packs in a flat configuration, is extremely rugged, and can be incinerated after use to safely dispose of infectious biological samples. With minor optics modifications, the microscope can be designed for brightfield, multi-fluorescence, or projection microscopy -- or specialized to identify specific pathogens. Some incredibly clever engineering.